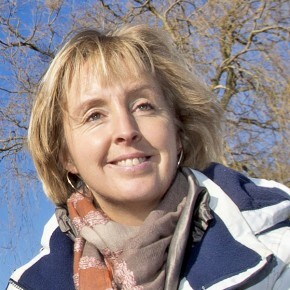 Marie-Claire ten Veldhuis works at Delft University of Technology as assistant professor in Urban Water Systems. She received her PhD degree in 2010 for her research on quantitative urban flood risk analysis based on data analysis of citizens’ flood reports. She is coordinator of RainGain, an EU-funded project on high resolution rainfall data analysis from dual polarimetric X-band radars and urban flood prediction. Marie-claire also coordinates RainSense, one of the kick-start projects of Amsterdam Advanced Institute for Metropolitan Solutions. The project aims to combine multiple data sources including crowdsourcing, rain gauges and radar to obtain high resolution rainfall and flooding information in cities. Furthermore, she is involved in OASIS, a KIC-Climate project on damage modelling for climate impacts and insurance, and in QUICS, an EU-funded project on integrated catchment modelling. My research interests include high resolution rainfall patterns in cities, urban hydrology, urban flooding, flood impacts and quantitative urban flood risk analysis. Additionally, smart and social sensing of weather and hydrological variables, especially rainfall and flooding, in the urban environment has my interest. Marie-claire currently holds the secretariat of Delft Urban Water, an initiative that was recently launched to streamline and promote scientific research taking place in Delft (TU Delft, UNESCO-IHE, other partners) in the field of urban water. She teaches two courses at TU Delft: Urban Drainage and Watermanagement (MSc course) and Introduction Watermanagement (BSc course) and is involved in various other courses at MSc and BSc level. Between 2007 and 2009 she was a member of COST C22, an EU-funded project for international knowledge exchange related to urban water management. In 2007, she co-organised the 5th International Conferences on Sewer Processes and Networks (IWA-SPN5) that was hosted in Delft. Before coming to Delft University in 2006, she worked as water manager for the city of Breda and as a consultant for Royal Haskoning. In Breda, she was responsible of integrated urban water management in the city, including surface waters and sewer systems. She supervised a team of advisors, engineers and maintenance personnel that carried out all construction and maintenance projects required to achieve the required water system conditions. In doing so, she cooperated closed with other water authorities and advised politicians on environmental and financial decisions related to urban water. As a consultant for Royal Haskoning Marie-claire worked for several national and international projects (Nicaragua, Israel) related to urban water management. The focus of projects in the Netherlands was mainly on ecohydrology: water quality conditions in relation to ecological potential. Projects in the Nicaragua and Brasil focused on wastewater treatment and wastewater reuse. Before coming to Royal Haskoning she spent almost a year in Brasil (Belo Horizonte) to study flooding and other water-related problems in favelas.